In less than 20 days, the fourth Smart Green Island Makeathon (20.02-23.02.2019) takes place in Gran Canaria. 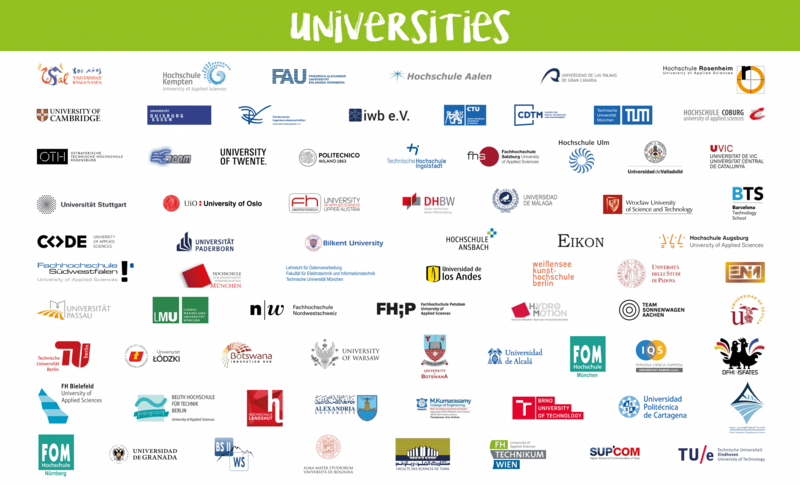 More than 260 Young Talents from more than 70 different universities of 21 countries, as well as guests and representatives of various companies, are expected for the upcoming makeathon. As a result, the total number of participants in the event, which is now taking place for the fourth time, exceeds the 400-limit. It is very pleasing, that this year, the limited platinum and gold sponsor labels were in great demand and sold out after only a short time. As a special highlight of the event, two innovative vehicle concepts will be presented. Team representatives of the Fuel Cells powered Hydro2Motion vehicle from Munich and the two solar cars will come to Gran Canaria. The solar vehicles are SolarCar GT from Bochum, which already drove around the earth, as well as the Stella Vie Car from Eindhoven (NL), which provides space for four persons. 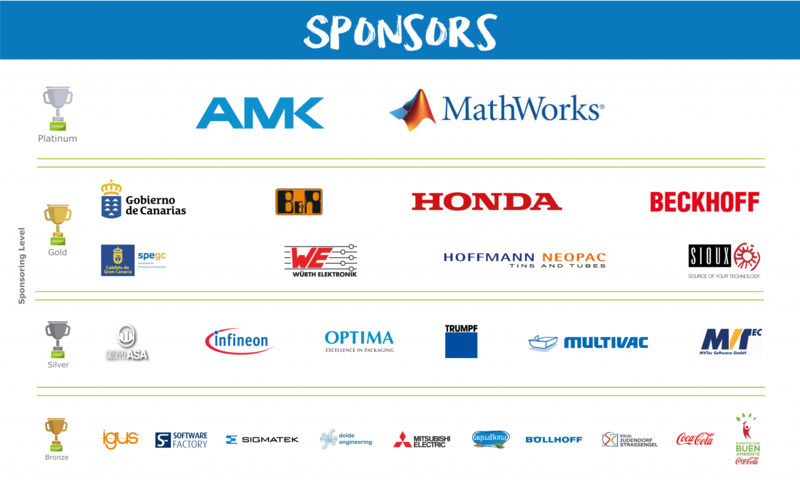 Many thanks to our platinum sponsors AMK and Mathworks, as well as our numerous gold, silver and bronze sponsors. We are looking forward to a productive and innovative makeathon and to the new smart and innovative ideas of our participants!